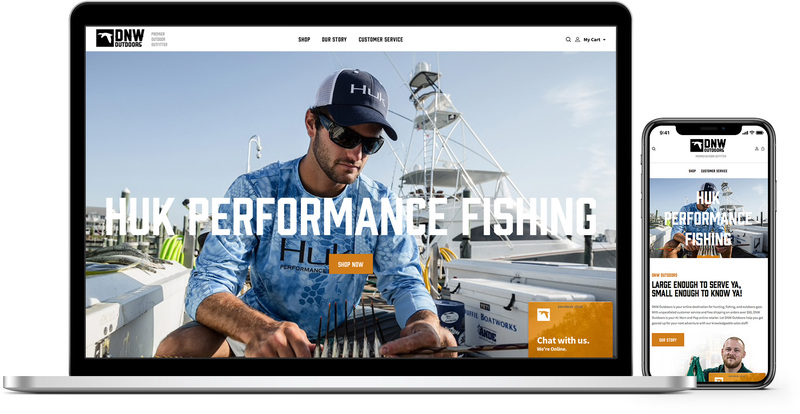 DNW Outdoors was unhappy with its previous ecommerce platform - from management and flexibility standpoints. Gray Loon was able to find the right solution and utilize BigCommerce to build a responsive site with the product management and design flexibility DNW needed, so it could turn its internal focus on maintaining and growing its exceptional customer service. DNW Outdoors is an outdoor gear retailer that is known for its quality customer service. But its previous website wasn't representative of that, nor responsive. Gray Loon was able to change that with a customized BigCommerce store to fit their Mom and Pop personality, as well as a stellar user experience to keep their customer service level top-notch. It felt really great delivering a first class e-commence solution with better product filtering tools for this small mom and pop in Arkansas.